I still have a Yahoo Mail account. It is the account I use for companies and charities to send me stuff (including ). Yesterday when I started my browser, my default homepage (Yahoo Mail) exploded into something called Oath, my initial thought was that Yahoo was hacked by someone with really bad taste. 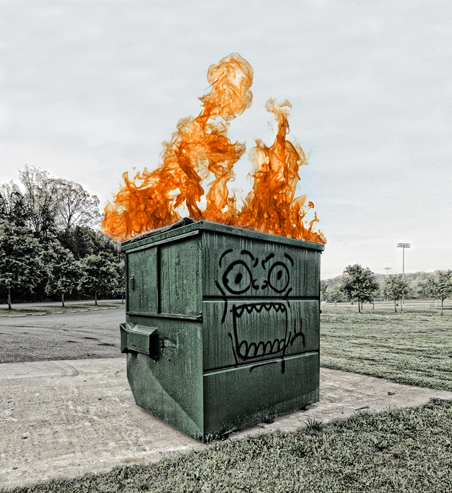 I figured out it's just Verizon's rebranding, as the eye-straining animation was telling me. I eventually found my way back to Yahoo Mail and fixed my bookmark and homepage settings. This morning, the same thing happened. It took multiple tries to get "mail.yahoo.com" to actually stop bursting the Oath homepage. Then, I had to agree to some new EULA, which probably rivals Facebook's for invasiveness. This is making me ask why I'm still using my Yahoo email account. Re: All these Verizon owned companies are now "Oath", and it is terrible. Oh! I read about that the other day. It's AOL too. Have they weened Mike Pence off it yet? I shall now channel a random, but not at all stereotyped, Australian. I don't know if it's worth laughing about. Yahoo sold for 4.6 billion. Some people got a lot of money, sure, but they *could* have gotten way more. 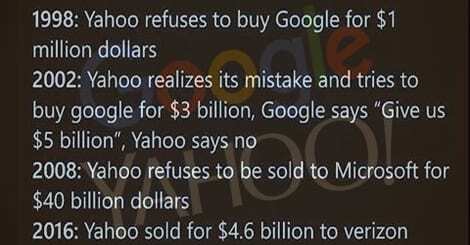 It makes me wonder what kind of world we would be in if Yahoo would have purchased Google. Would Google have become an also-ran? If the Yahoo management applied the same level of business skill they've shown in the last 20 years, maybe. Unless you absolutely have to, I would never use a Yahoo account. Yahoo email had a 100% hacker penetration of user accounts. As soon as they finish the migration of Flickr to SmugMug, I'll be closing the Yahoo account forever.